Ormond Beach Accident Attorney | FAQ | Johnson & Gilbert, P. A. Visit this section of our website to get your personal injury and accident questions answered on topics including motorcycle accidents, automobile accidents, disability insurance and workers’ compensation matters. We handle cases throughout Florida concentrating on the greater Central and North Florida area. 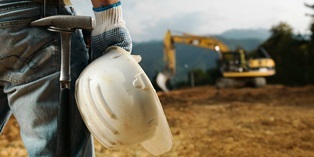 Why are injuries on construction sites underreported? Construction workers face many workplace dangers that can cause them to suffer serious injuries or death. According to U.S. Department of Labor, 991 of these workers were killed in 2016—21 percent of all workplace fatalities. 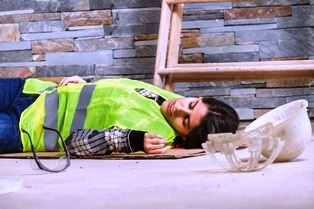 Falls, electrocutions, being caught between heavy equipment, and overexertion are just some of the reasons that individuals are hurt or killed at construction sites. While injured employees are entitled to workers’ compensation benefits, many fail to report their accidents. In order to be eligible for workers’ compensation benefits, a workplace accident must be reported to an employer within a specific time limit set under state laws. 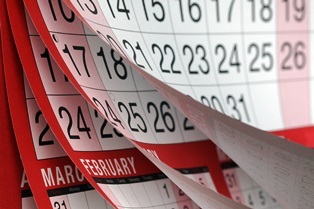 In Florida, the deadline for reporting an injury suffered on the job is 30 days of the date of the accident. When construction workers don't report their injuries, they're ineligible to receive the workers’ compensation benefits they may be entitled to. In 2013, The Center for Construction Workers and Training (CPWR) conducted a survey of 614 workers to determine why so many individuals in construction fail to report their injuries. More than a quarter of the respondents admitted they failed to report at least one work-related injury during their career. They considered pain to be a part of their job. They couldn't afford to take time off work for doctor appointments. They feared retaliation, such as not being hired by their employer in the future. They wanted to remain eligible for safety-related prizes. They didn't want to be perceived as weak or a complainer by other construction workers or their supervisor. They found the process of filing a workers’ compensation claim and providing needed paperwork to be confusing and too much effort. If you're a construction worker and suffered an injury at your job, you don't want to lose the workers’ compensation benefits that you deserve and need. While the process can seem overwhelming, sorting out the intricacies of the workers’ comp system and preparing claims so people injured on the job recover benefits is what our experienced workers’ compensation attorneys at Johnson & Gilbert, P.A., have been doing for Volusia County clients for more than 15 years. Let us help you too. Call our office to schedule a free consultation today. What steps should I take after a workplace injury? After being injured in a workplace accident, you're most likely entitled to workers’ compensation benefits to pay medical bills and lost wages, as well as possible permanent disability benefits under Florida’s workers’ compensation laws. However, it can be confusing to know what to do, especially when you're ill and worried about recovery. We'll explain the important first steps you need to take to protect your right to workers’ compensation benefits. Report the injury to your employer. Do this as soon as possible after your accident. You're required to notify your supervisor or manager within 30 days of your accident or from the first signs of an occupational illness. 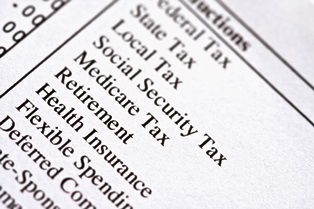 If you fail to do this, you may not be eligible for benefits. Fill out a workplace injury report. Employers are obliged to keep workplace injury reports available for employees by the Occupational Safety and Health Administration. When you’ve been injured, demand to fill out the report, even when your employer says it's not necessary, and get a copy for your records. Seek medical care. You need to immediately get medical treatment for your injuries, no matter how minor you initially believe they are. This ensures you receive proper medical care, and these records can protect you if there are disputes with your employer’s insurance company about whether your injuries were really work-related. File a claim. You should submit your claim for workers’ compensation benefits with the Florida Division of Workers’ Compensation as soon as possible after your accident. You must file a claim within two years of your injury or illness in order to be eligible for workers’ comp benefits. Retain an attorney. An experienced workers’ compensation attorney can guide you through the complexities of filing your claim and ensure you receive all the benefits you're entitled to under Florida law. 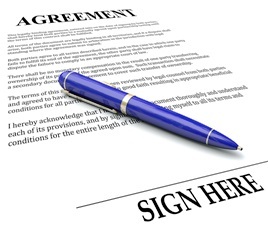 Hire legal counsel soon after you sustain injuries to protect your rights. For more than 20 years, we've helped people like you secure their rightful workers’ compensation benefits. Find out how our experience can help you by calling our office and scheduling your free consultation today. Should I file a workers' compensation claim even if my employer offered to pay my medical bills? Absolutely. Workers' compensation insurance was created to pay for lost income and medical care after a workplace accident. However, there's been a rise in cases from injured employees who didn't file for workers' compensation because their employers talked them out of making a claim. There are many reasons employers would prefer that an employee not file a workers' compensation claim, such as increased insurance premiums, or the ability to discredit an employee at some point in the future. Even if an employer threatens to fire an employee, Florida laws prevent employers from retaliating against workers for filing workers' compensation claims. Private health insurance provided by the employer stops paying medical bills. Private health insurers aren't obligated to pay for injuries sustained on the job. If your insurance company discovers you've made claims for work-related injuries, it will stop paying for your appointments and treatment—and likely demand that you reimburse the company for any amount it paid to treat your work injury. Although the coverage is provided “through” the employer, the insurance company will demand payment from you, not the company you work for. On the other hand, if you file for workers’ compensation, you'll have all of these appointments paid for and likely not have any co-payments for your treatment. Employers suddenly refuse to pay out-of-pocket when treatment gets expensive. An employer that promises to pay medical expenses for an employee may suddenly forget that promise when the employee needs surgery, diagnostic studies, or other costly treatments. In some cases, employers encourage (or require) employees to tell a doctor or hospital the injury didn't occur at work, ruining the employee’s credibility when he or she ends up filing a workers' compensation case later. Employees are unable to pay bills because they're unable to work. Unlike employer-sponsored healthcare, workers' compensation also pays a portion of lost wages to employees while they're off work treating their injuries. These payments allow the workers’ income to continue all the way through recovery. The bottom line is this: if you're injured on the job, don't hesitate to file a workers' compensation claim. For more information, order our free book, It’s Not Rocket Science, It’s Workers’ Comp, or fill out the quick contact form on this page today to schedule your no-cost consultation with our work injury attorneys. 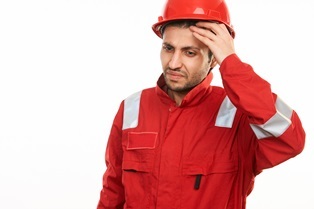 Can I get workers' compensation for job-related stress in Florida? Many people suffer from anxiety, depression, and even panic attacks as a result of their work environments. As it can be difficult to prove the medical extent of these injuries, workers’ compensation for stress is usually not an option unless the stress is related to a physical injury. Under Florida law, an employee can only collect workers’ compensation for job-induced stress if he or she also suffers a physical injury. In addition, the employee’s stress and injury must have a significant impact on one another. Demonstrates the link between the mental condition and the injury. The employee’s physical injury must be at least 50 percent responsible for his or her nervous condition. For example, if you suffer an injury that causes disability, you may be entitled to further compensation for the depression caused by the disability. On the other hand, if you had anxiety before you suffered a broken leg at work, the two conditions may be seen as unrelated. Provides adequate evidence. Claimants must have a diagnosis and prognosis from a licensed psychiatrist according to the criteria established for mental disorders by the American Psychiatric Association. Suffers unduly. Workers’ compensation will only provide nervous condition benefits for anxiety related to the specific compensable injury. Therefore, no benefits will be paid for psychological injuries related to being out of work, suffering pain, losing out on job opportunities, or resulting from a pre-existing mental condition. Claims short-term benefits only. A person may only claim stress or nervous suffering benefits for up to six months after the date that his or her physical injury reaches maximum medical improvement. If your physical injury was caused by stress, or you're suffering a great deal of mental and emotional trauma as a result of an injury at work, we can help you get the medical and wage loss benefits you are owed. Simply fill out the quick contact form on this page today to schedule a consultation with our work injury attorneys at no cost to you. How much does workers’ compensation pay while I am out of work? One of the most common concerns after a work injury is the amount of money an employee will receive in workers' compensation. However, wage payments are just one of many types of workers' compensation benefits that can offset the cost of an injury on the job. The most important benefit offered under workers' compensation is full payment for all necessary medical bills related to the work injury. As long as the treatment is reasonable, the employer’s insurer should cover the full cost of doctor visits, lab testing, diagnostic testing, prescription medications, and rehabilitative therapies. Injured employees can also be reimbursed for out-of-pocket costs related to medical treatment, including mileage incurred while traveling to and from appointments, public transportation, and parking fees. Wage replacement. Employees who are temporarily unable to work after an injury are eligible for weekly income replacement. The amount of these benefits is based on the employee’s average weekly wage (AWW), or your average earnings in the 13 weeks before your injury occurred. If you're completely unable to work, workers' compensation will pay you 66.67 percent of your AWW. 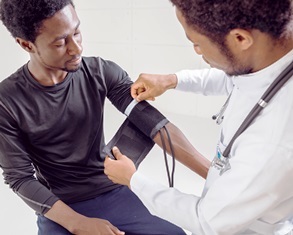 If you're under a doctor’s work restrictions that your employer cannot accommodate, workers' compensation pays you 64 percent of your average weekly wage. These benefits are paid on a bi-weekly basis. Disability benefits. If your injury reaches a point where it's no longer expected to improve and you're still limited in the work that you can do, workers' compensation may continue to provide partial or total disability payments indefinitely. Vocational rehabilitation. If you cannot return to the job you used to do, workers’ compensation may pay for your vocational retraining, allowing you to transition into another career path without incurring extra costs. Our experienced legal team can calculate the losses caused by your work injury, allowing you to get maximum payment from workers' compensation. Simply fill out the quick contact form on this page today to schedule a consultation with our work injury attorneys at no cost to you. Can I Sue My Employer for Job-Related Injuries? Can I choose my own doctor to treat my workers’ compensation injury? Since your employer is required to pay your medical bills if you're injured on the job in Florida, the employer’s insurance company determines the doctor who treats your injuries. If you don't like the doctor the insurance company chooses, you may be allowed to change physicians—but this must be done extremely carefully. After you report your injury, your employer’s insurance provider will give you the name of a primary care physician who you must see for treatment of your work-related injury. If the physician refers you to a specialist, such as a skin cancer surgeon for melanoma on the job, that specialist must also be authorized by the employer’s insurance carrier before treatment with him or her begins. Your insurer picks the doctor. When you make a request to change doctors, you still cannot pick the physician you'll see. The insurance company has a duty to respond to your written request and select another authorized provider within five days. If the insurance representative doesn't respond within five days, you may select whatever doctor you want, and the workers' compensation insurer will have to pay the bills. You may have the same problems with a new doctor. Since you don't have control over which doctor you'll see, there's always a chance that you'll not like the new professional any more than the previous one. You cannot change back. Since you can only change doctors once for any work accident, you're not allowed to change back to your original doctor if you don't like the second physician chosen for you. Insurance providers have reasons for choosing the physicians they allow to treat work injuries, none of which cater to the injured employee. If you're having trouble getting the treatment you need after an injury on the job, we can help. Simply fill out the quick contact form on this page today to schedule a consultation with our workers' compensation attorneys at no cost to you. How long can I receive Florida workers' compensation benefits? Many employees take consolation in knowing that their employers will pay for medical treatment and lost wages after an accident on the job. However, some employees will still be unable to work months or even years after the injury occurs. If you're one of these employees, you should know that workers’ compensation will continue to cover some of your injury costs as long as you're unable to earn a living. affects your ability to work. Temporary disability. Florida workers' compensation law allows an injured worker to receive up to a maximum of 104 weeks of temporary compensation. The employee must remain on a "no work" status—or under limitations which an employer cannot accommodate—in order for benefits to be claimed for the week. Medical benefits. Medical benefits don't expire as long as the need for the care is related to the industrial accident. However, you must receive "authorized" medical care at least once every 12 months for workers' compensation to cover the costs. Permanent partial disability. If an employee is still unable to work after temporary benefits have expired, or the patient has reached maximum medical improvement, he or she is entitled to impairment income benefits. Payment may continue until the specific time limit established for the degree and type of disability or until the death of the employee. Permanent total disability. If the injury results in total lifelong disability, an employee can collect 66.67 percent of his or her average weekly wages as long as he or she is unable to perform any kind of work. Payment of these benefits may continue until the employee reaches age 75. Payments will be discontinued if it's discovered the employee is physically capable of performing employment within a 50-mile radius of his or her home. If you've suffered permanent effects from an accident on the job, we can help you obtain a fair workers' compensation settlement. Simply fill out the quick contact form on this page today to schedule a consultation with our work injury attorneys at no cost to you. How Much Does FL Workers' Comp Pay When I'm Out of Work? Can I file a work injury lawsuit and still get workers’ compensation? It depends. Under Florida law, employees are granted workers’ compensation in exchange for the right to sue employers after a work injury. If an employee is covered by workers’ compensation, he cannot bring an injury lawsuit against his employer, supervisor, or coworkers. However, if a third party is responsible for causing the work accident, an employee can sue the negligent party in addition to filing a workers' compensation claim. A “third party” in a work injury case is a person or company not related to the employer. Third parties aren't covered by workers’ compensation laws, and can be sued for negligence if their actions contributed to your injury. Contractors. Many employers outsource portions of their business operations to other companies. Any entities such as loading companies, building contractors, inspectors, or cleaning services may be liable for negligence. Product manufacturers. If an injury was caused by poor design or manufacturing defects that caused a product to fail, the maker of the product can be held liable. At-fault drivers. If you were in a car accident on the job, the driver who struck you can be sued in a personal injury claim. Property owners. If you were injured while visiting a residence or business as part of your job, owners of these premises can be sued for negligence. It's important to note that if your third party injury claim is successful, the workers’ compensation insurance carrier may attempt to get some or all of its money back. The insurer can file a subrogation interest in your claim, essentially asking that the at-fault party pay for the total cost of injuries in your case. Although you may have to repay these benefits, it's still worth filing a workers’ compensation claim first, because these benefits are paid to employees immediately after an injury. 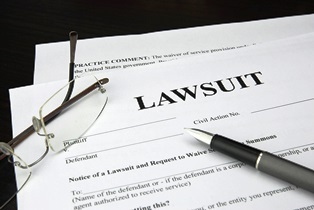 Suing for damages can take a year or more. If you're recovering from an injury on the job, our Florida workers’ compensation attorneys can help you understand your legal options and negotiate the maximum amount you deserve for your suffering. Simply fill out the quick contact form on this page today to schedule a free consultation. How can I tell if the insurance company is offering enough to settle my workers' compensation case? 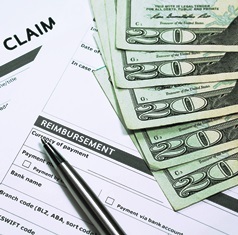 Insurance companies may prefer to offer a settlement in some workers’ compensation claims rather than pay for ongoing benefits. When deciding whether or not to settle a case, it's crucial to understand what you're giving up in exchange for an up-front payment. Weekly benefits. 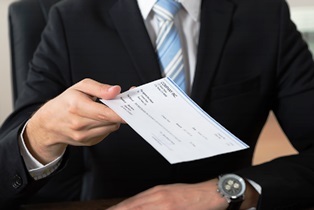 All weekly payments, including wage loss benefits, are terminated after settling a workers’ compensation case. Individuals may also lose their vocational rehabilitation benefits if they're transitioning to different employment. Medical payments. The majority of Florida workers’ compensation settlements prevent claimants from filing any future claims for injuries suffered while working for the employer, including those that haven't been identified at the time of settlement. Right to future payment. Settling means giving up the right to future workers’ compensation benefits for your injury, so it's vital that your settlement is enough to last for the rest of your life. Unlike personal injury settlements, workers’ compensation settlements don't offer payment for pain and suffering, resulting in lower overall damages. Additionally, the judge in your case cannot require the insurance company to pay more to settle a case, nor force either party to accept a settlement. You should consider the amount of your workers’ compensation settlement extremely carefully before you accept an offer. Our Florida work injury attorneys can help you calculate the full amount of your potential benefits in order to get maximum compensation for your on-the-job injury. Simply fill out the quick contact form on this page today to schedule a consultation at no cost to you.